You can’t help but feel excited for the cast of “Honeymoon in Vegas The Musical” at Paper Mill Playhouse. They know that this show is this close to landing on Broadway. You can see how hard the cast, mostly young, some mid career, are working to seal the deal…performing their hearts out to convince any doubters that this show would be a mega hit if a Broadway theatre just gives it a chance. And you can’t help feeling how proud Paper Mill Playhouse is to have this world premiere opening its 2013-2014 season. Just six years ago, it looked like one of New Jersey’s best known regional theatres would go under. Choking on debt and suffering the fallout of failed artistic choices, Paper Mill nearly shuttered. Finally, it was a take-over by its home city of Millburn that saved Paper Mill. Now, Paper Mill is presenting one of its most critically acclaimed shows in years, the musical version of the Nicholas Cage-Sarah Jessica Parker film, “Honeymoon In Vegas.” If the show transfers to Broadway it would be another much needed feather in Paper Mill’s cap. Two years ago the Broadway sensation “Newsies” transferred directly from Paper Mill. What “Honeymoon In Vegas The Musical” does not have is stars. Some in the talented cast are known in the theatre community but not to the general public. Except one performer: Tony Danza. The former sitcom actor plays the James Caan part from the movie…the older widower trying to woo a young woman away from her fiance. In shows like this, the lesser known cast members rely on the famous to bring attention to the show. Their chance to make it to Broadway, to have a paycheck, is helped when the most recognizable person in the cast brings notice to everyone’s good work. Which is why it is so troubling that Tony Danza declined without notice to talk about this production, canceling our scheduled interview at Paper Mill on Friday evening at the very time it was to begin. Danza, residing in theatre housing almost next door and without need to travel for the interview, did so without expressing to us a word of apology or regret, leaving the Paper Mill’s longtime publicist and a true believer in “Honeymoon in Vegas The Musical,” to deliver the embarrassing message. But this isn’t just an affront to the hard working folks at Paper Mill, who most certainly liked the idea of this show being featured on local television. There are a week of shows left, none of which is listed as sold out as of the time I’m writing this. (Sold out houses would also help convince Broadway the show is a good bet). When Danza backed out on the opportunity to discuss work being staged in New Jersey, it hurt the state’s arts community. I am extremely fortunate to work at News 12 New Jersey, one of the only local television stations in America that still covers arts and entertainment in a substantive way. It is time consuming and costs money, but the station feels that it is important for well rounded coverage. However, I still have to advocate to get time to do my segments and sometimes fight for camera crews. The interview Friday night was one of those times. Maybe Danza felt not showing up for an interview with the local tv station was no big deal. He was recently on Jimmy Fallon and the Today Show, after all. But we’re proud of what we do. In fact, it’s not only the newscasts where my pieces air. I produce and host an arts and entertainment series of half hour specials, “ON THE SCENE.” We’ve won two Emmy Awards, garnered a dozen Emmy Award nominations, and earned more than two dozen other regional and national peer recognition awards. We’re the only show of our kind…one that is shot entirely on location in the artist’s environment and hosted from arts venues… on commercial tv in the New York market. Some of the most accomplished artists in their genres have sat down with me for interviews…Tony Bennett, Lewis Black, Joan Rivers, Tyne Daly, Bill T. Jones, Bernadette Peters to name only a very few. New Jersey has a vibrant theatre community seldom seen by the outside world and one that would never be in the spotlight without a program like ours, or the local newspapers. When Danza turns his back at the last minute he’s not just wasting the time and energy of many people, he has shut out viewers who have found in my show the rarest of places where enlightening interviews with artists and entertainers still exist. Certainly, I didn’t let one canceled interview stop us from doing the story. The charismatic lead actor in “Honeymoon In Vegas The Musical,” Rob McClure, has a long connection to Paper Mill. He went from selling tickets in the box office to starring in a musical in which people are buying tickets to see him. ( It was my third interview with McClure within the past year. He was nominated for a Tony Award earlier this year for playing Charlie Chaplin in “Chaplin The Musical.” ) And Friday evening we also shot footage of the musical’s first act. The piece will air today. I’m sure viewers won’t miss the Tony Danza interview because they don’t know it was supposed to be there to begin with. But if they are clicking through the channels, would more people have stopped when seeing a familiar face from 70s and 80s tv? Would they be curious what he’s up to now? Absolutely. And maybe they would spend a minute or two longer watching and enjoying that hard working cast singing and dancing… and dreaming of Broadway. “Me, too.” was the response. Admittedly, not a great attitude to bring to a show. But I don’t like the movie “Honeymoon In Vegas,” dragged down by some stiff performances and missed potential for comedy. If this musical was going to be a rehash of Nicholas Cage, James Caan and Sarah Jessica Parker 20 years later and with a few songs tossed in, we were in for a long night. But I was attending the show as research for anticipated cast interviews. I need to bring an open mind and I was curious how they would take the film’s storyline and turn it into a musical. It turned out be the most surprising evening in all my years covering entertainment. Not because the producers tried to reinvent the genre, make a social statement, be self consciously artistic, or stray from the story’s basic boy loses girl-boy gets girl plot. It was a surprise because the musical (with book written by Andrew Bergman who also wrote the screenplay) achieves what the movie did not: it embraces the absurdity, goes balls to the wall for laughs, creates a tender moment without leaving the audience suffocating in vat of schmaltz. At it’s core, the story is pretty preposterous. So why hold back? I’m delighted to say, “Honeymoon In Vegas The Musical” does not. It is hilarious, action packed, with first class musical performances. “Honeymoon In Vegas The Musical” stars audience favorite Tony Danza as Tommy Korman (the James Caan part in the movie), the impossibly energetic Rob McClure who brings his substantial gifts for song and physical comedy to Jack Singer (the Nicholas Cage movie role), and includes outstanding performances by Broadway veterans Nancy Opel and Matthew Saldivar, and a 14 piece orchestra that is refreshingly on stage and an integral part of the show. Thanks to everyone for the observations, compliments and all around great feedback on this past weekend’s episode of “ON THE SCENE” with Southside Johnny, Lisa Lampanelli and Joel Grey. This New Year’s Eve Southside will return to the Count Basie Theatre in Red Bank, New Jersey for his annual concert. And the show has some special meaning attached: it will be one of the kickoff events to mark New Jersey’s 350th anniversary. Music has played a huge part in that history, so it’s fitting a concert by a Jersey born and bred artist starts off the year of celebration. Follow my twitter feed @JohnBathkeLive for continuous updates about interviews that I am doing, and when the next show will air. We’re a recurring special presentation of News 12 New Jersey, so I”m not on every weekend. But we make the weekend that we are on, count! Had an uncommonly candid, revealing interview today with Southside Johnny. 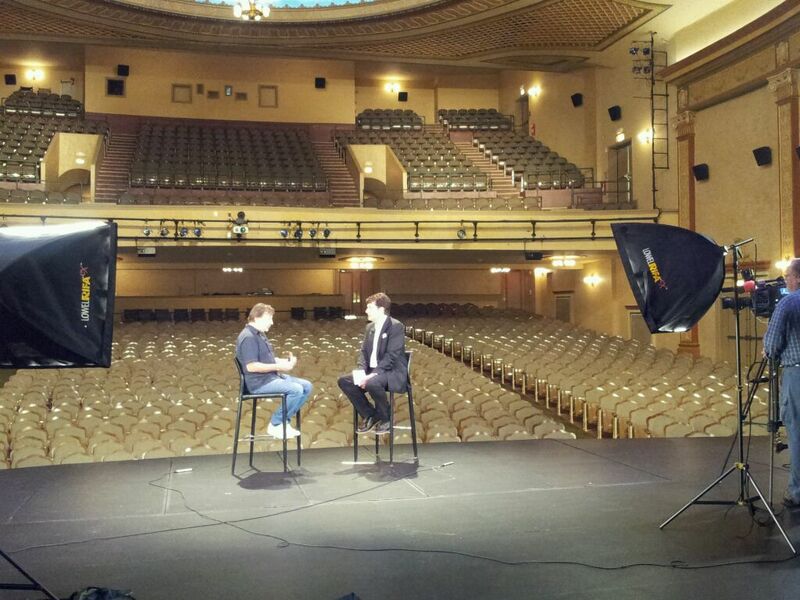 The singer/songwriter doesn’t do that many interviews but agreed to sit down with me at the Count Basie Theatre in Red Bank, New Jersey. We talked music and about his private life in a way that is going to surprise even those people who know him well. The interview will run in a few weeks in our next “ON THE SCENE” special and I’ll write much more about the interview, then. For now, just keeping you all up to date! On the 44th anniversary of the closing of the Woodstock Music And Art Fair that he opened, Richie Havens returned for his finale. The late folk music icon wanted the site of the original Woodstock concert…Yasgur’s farm in Upstate New York…to be his final resting place. Sunday, he got his wish. As day turned to dusk, a small plane emerged over the Catskills, humming toward the 500 or so people who gathered on a grassy hillside, their eyes to the sky. The plane carried Havens’ ashes. As it passed over, a faint trail of dust could be seen lingering behind. Havens had returned one last time. As Havens told me during one of my interviews with him in 2005, not a day went by that he wasn’t asked about Woodstock. And in a statement his family said that even after touring the world for decades, Woodstock is where Havens, who died in April at age 72 , felt his deepest connection. Three hours before Havens’s ashes were dispersed, a memorial concert began at Bethel Woods. It included performers who started out with Havens in Greenwich Village in the 1960s. Among them, John Sebastian, John Hammond and Jose Feliciano. And there were stories by the organizer of the Woodstock concert, Michael Lang, and from Havens’ pals Danny Glover and Louis Gossett, Jr. Longtime Havens collaborators also performed. One of the concert’s most poignant moments came from Havens’ former accompanist Walter Parks. After repeated calls to the sound operator for adjustments, a frustrated Parks unplugged, stepped off the stage and into the audience, and delivered a passionate, deeply personal and enthralling acoustic version of “People Get Ready” that would have made Havens proud. Inevitably, tribute concerts such as this become burdened by their own good intention. With seven separate acts, even minimal resetting of the stage between performances dragged down the event. Silence on stage for five to ten minutes at a time was filled by talking in the audience, some of whom stepped out to buy drinks or smoke a cigarette. No matter how fine the performances, the continuity of the event is lost and it seems like a disservice to the artist everyone gathered to honor. And so it was crucial that this Havens homecoming concert have a strong closer and it found one in Jose Feliciano. Feliciano’s touching performance of “In My Life (I Love You More)” not only gave the concert an emotionally satisfying conclusion, it was the perfect bridge to Havens’ final bow. As the crowd moved from the concert area of the Bethel Woods market sheds to the adjacent hillside to await the plane’s arrival, the live recording of Havens’ “Freedom,” the song he improvised on stage at Woodstock which became not only his signature number but an anthem for troubled times, poured through the loud speakers. As a drum circle and the crowd joined in…clapping and singing…the plane buzzed overhead. 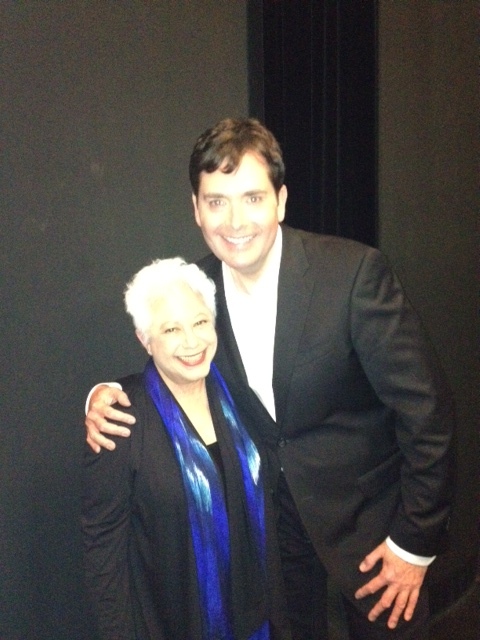 Janis Ian is one hell of a storyteller. In the lyrics to her classic hits including “Society’s Child” and “At Seventeen” and when she’s regaling a crowd with the colorful chapters of her life. Last night I interviewed the Grammy Award winner for Front Row LIVE, a stage conversation series which I host and moderate at the South Orange Performing Arts Center (SOPAC) in South Orange, New Jersey. As an interviewer I hope for an artist who is honest, willing to share their personal life in a compelling and relevant way, and gives insight into their art. Last night the SOPAC audience received that…and then some. From the famous musicians she has known (as a teenager being introduced to cocaine by Jimi Hendrix with disastrous results) to the infamous (an abusive ex-husband whose beatings haunted her for years afterward) to her family being trailed for decades by the FBI on suspicion they were Communists…we covered it all in one memorable night. Tune in this weekend, April 6 & 7, for an all new ON THE SCENE on News 12 New Jersey at 11 AM, 1:30 PM and 3:30 PM each day. This is one of my all time favorite episodes. I interviewed Joan Rivers at her Manhattan apartment. We had a conversation about complicated mother-daughter relationships, her enduring comedy career and who makes her laugh. This is not an interview of punchlines, but about real emotions and I think everyone watching will discover something new about Rivers…even after all her years in show business. The interview with Jewel was done backstage at the Bergen Performing Arts Center in Englewood where she launched her 2013 national tour. Jewel donated items to raise money for a New Jersey charity helping Sandy victims, and she and I talk about her own ordeal with homelessness as a beginning artist…and how that’s helped her to identify with people in New Jersey who lost homes to the storm. And my Glen Burtnik interview morphed into a profile of a songwriter and his song, and I think it’s fascinating. Glen co-wrote “Sometimes Love Just Ain’t Enough” with Patty Smythe over 20 years ago. It’s a heartbreaking rock ballad. But the lyrics never meant that much to Glen…till his divorce years later. And suddenly, that song became almost impossible for him to sing. Watch, and let me know what you think of the show. You are currently browsing the archives for the Music category.